I love good graffiti. Good graffiti has something to say and says it beautifully and creatively. It doesn’t have to be extravagant. One of my all time favorite tags is a simple sentence written in magic marker at an overlook of Yosemite Valley: Open your eyes to the world. I’ve hit the good graffiti jackpot in Freiburg, Germany. 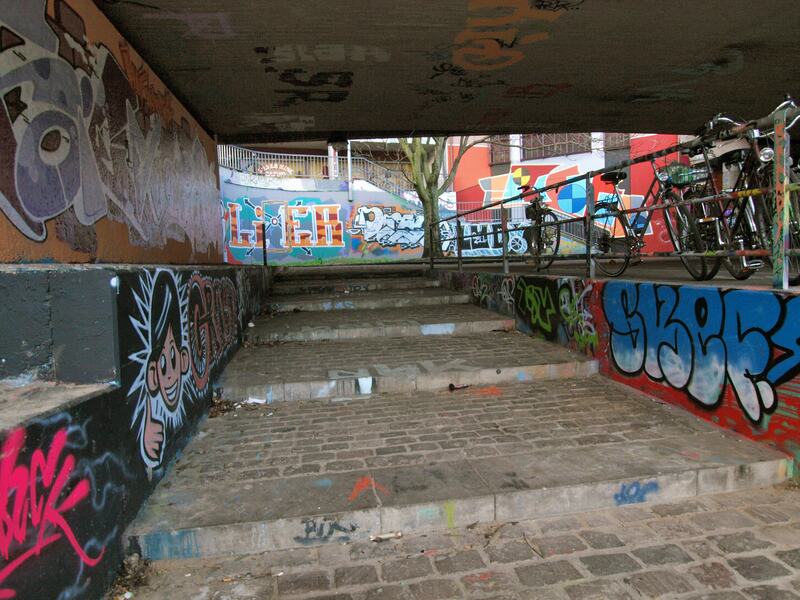 Graffiti is legal here in certain areas and bridges and underpasses are intended as urban canvasses. Since the artists don’t have to sneak around they can take their time and create true masterpieces in spray paint. Let us all stay poor sinners. 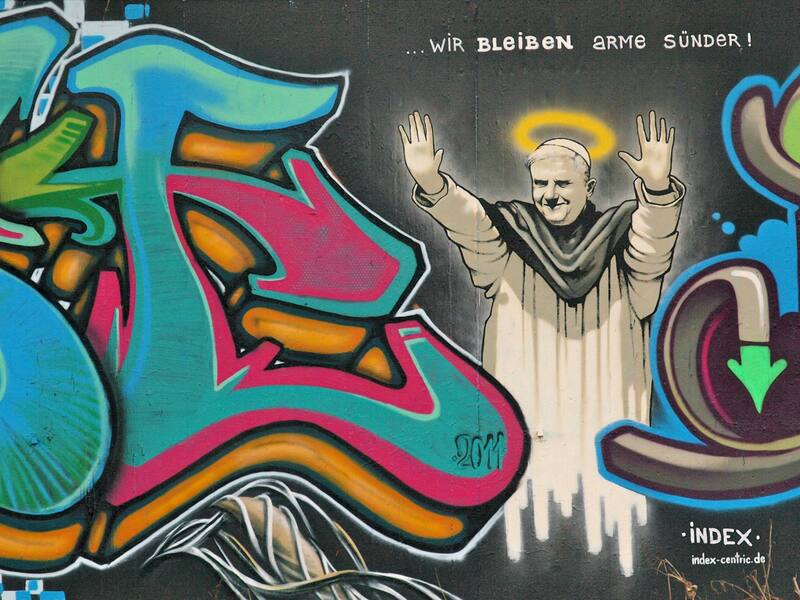 In “honor” of the Pope’s visit to Freiburg this past fall. 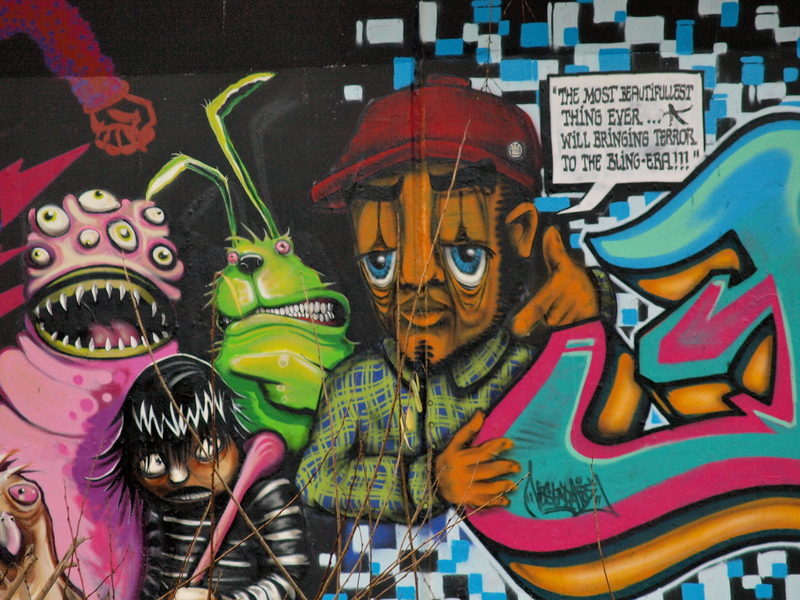 Graffiti is considered vandalism in many cities in the US, but there’s still plenty of it. In the past few years, I’ve been photographing graffiti around the US and have amassed a pretty epic collection of street art. Last time I was in San Francisco, my brother Paul took me to see a Banksy near City Lights Bookstore. Banksy is a British graffiti artist both famous and infamous for his distinctive and often subversive stencils left on city walls around the world. Original Banksy installations have made their way into major museums and are sold for hundreds of thousands, but many cities still have a policy of painting them over as soon as they’re found. For more on Banksy and graffiti as art, check out the 2010 documentary Exit Through the Gift Shop. 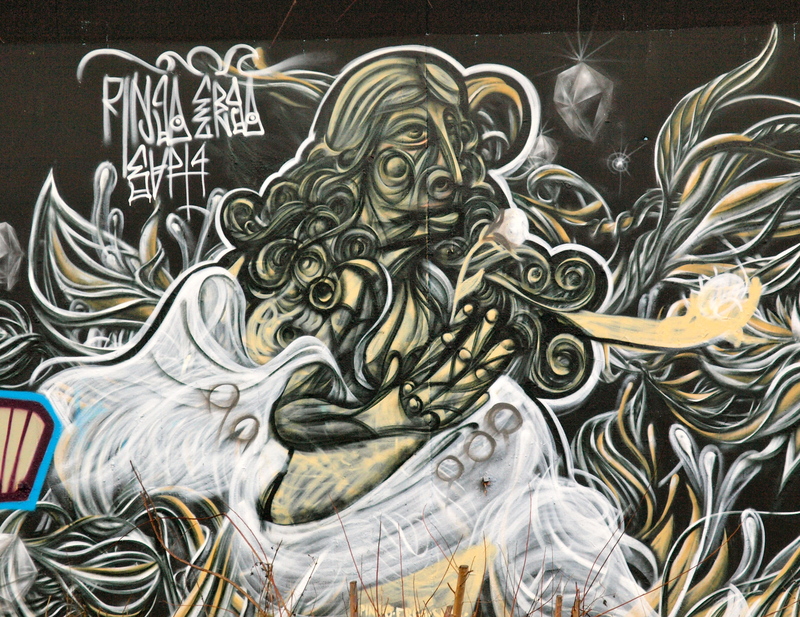 To see more of my graffiti photos click here. 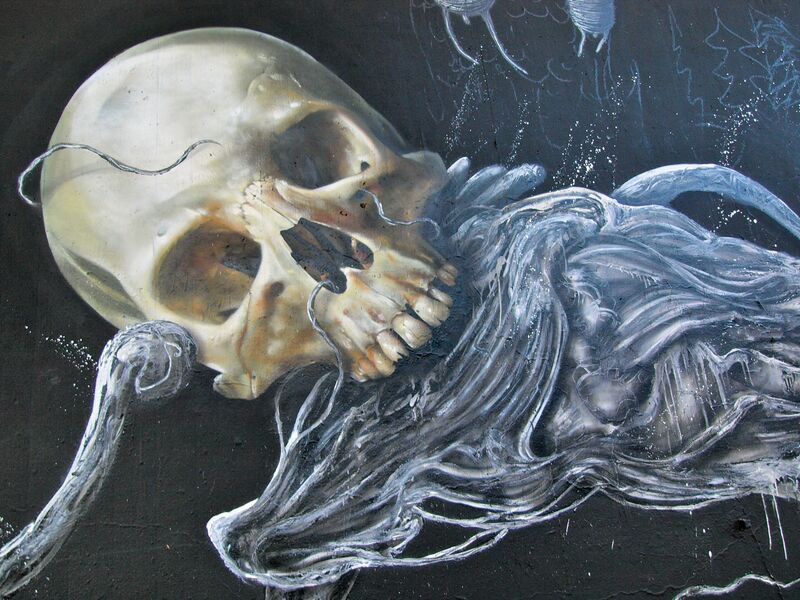 This entry was posted in Beyond the USA, Photography, Uncategorized and tagged graffiti, street art. Bookmark the permalink. Cool artwork. I’m heading to Germany this summer so I’ll keep my eye out for some. We are going to Berlin for a couple of says. It will be a short trip, but hopefully not the last one to Germany. I studied German history in school, however I haven’t been yet. I’m super excited! Oh that’s great! Berlin is amazing. My sister and her husband are moving there this spring. Make sure you visit the Kaiser Wilhelm Memorial Church. It was bombed in the war and left as a monument. Definitely one of the highlights of Berlin, for me! Thanks for the tip! World War II was my focus so that works out great! I’m impressed with this web site, truly I’m a big fan . This is great. Fantastic photos. I am in Freiburg right now and will be here for another month or two. In my free time, I’m the guy taking photos of stickers and graffiti instead of cathedrals and statues. Today I was down by the underpass by the “river”. It was cool to see how the paintings have changed since your visit. 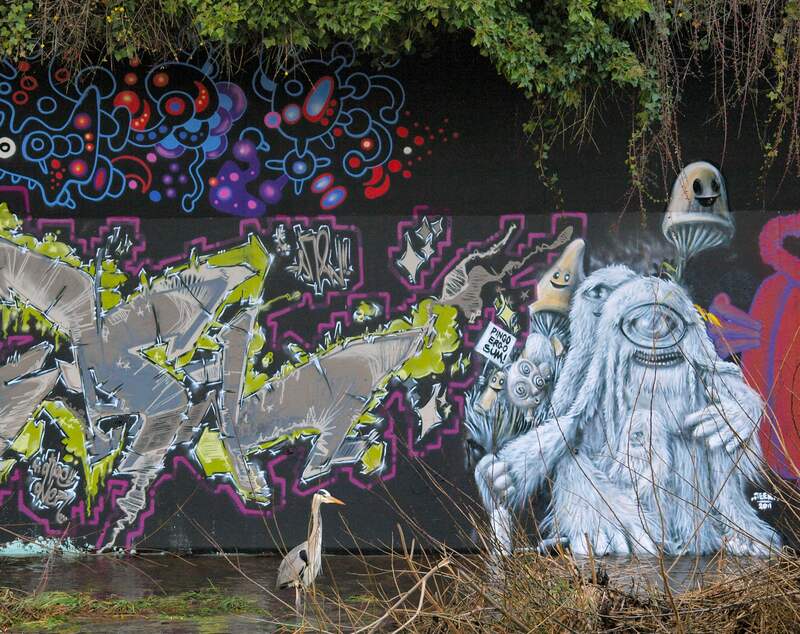 I love how graffiti changes and evolves (I’m pretty sure there are rules about painting over a Monet). I only discovered this world a few weeks ago, so I only have three cities in my collection. I hope to collect more, like you, as a travel in the future. Your site is very cool. I’m glad I found it!